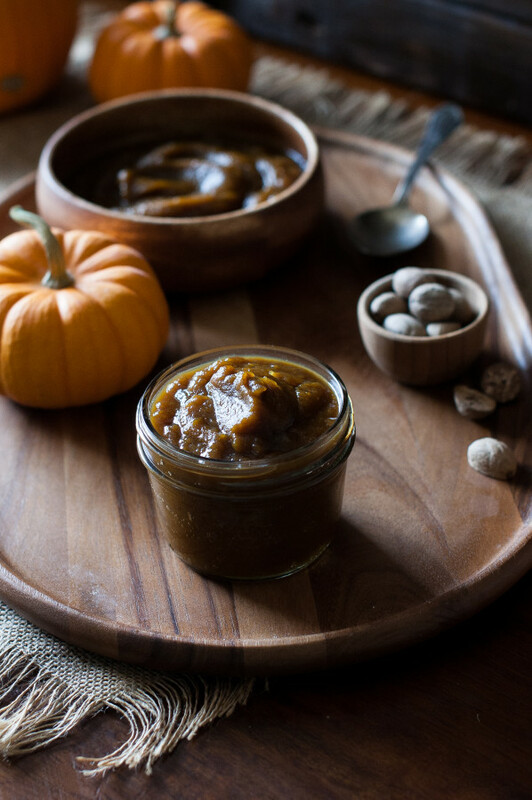 Everyone needs a little pumpkin butter in their fridge, come Autumn. Admittedly, I am not crazy about pumpkin butter, but I do really like a spoonful on a bowl of creamy steel-cut oats every now. 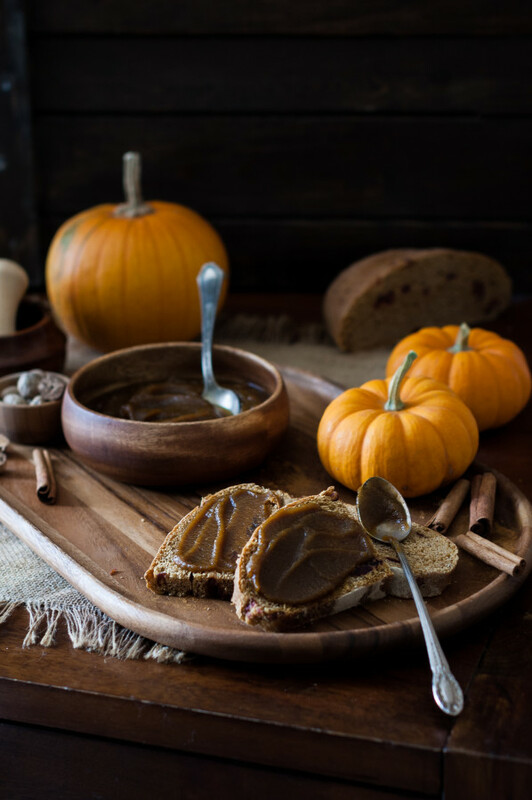 The only problem is that store-bought pumpkin butters are full of preservatives and refined sugars. 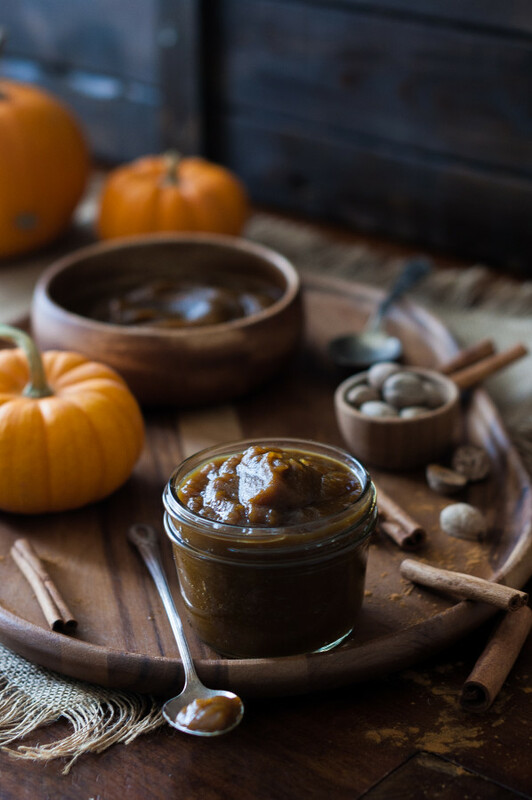 Thankfully, if you have an hour, you have enough time to make your own pumpkin butter. If you don’t go through a lot, like me, it can easily be frozen in small amounts and pulled out when needed. This recipe calls for roasting your own pumpkin, but don’t worry! It’s easy! And if you are feeling ambitious, you could go ahead and roast those pumpkin seeds that come with it for a crunch and nutritious snack. 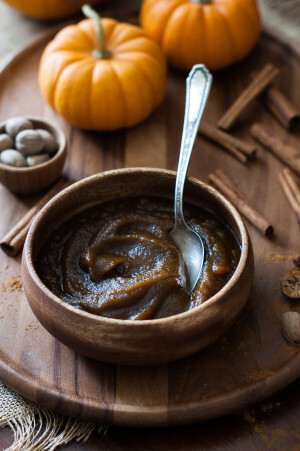 After you roast your pumpkin (make sure it’s a little sugar pumpkin), you puree it then simmer it in a saucepan with spices and sweeteners (I went with sucanat sugar and maple syrup, but you could use brown sugar and honey, if desired). The pumpkin butter is ‘preserved’ with a little fresh lemon juice and the tart flavor is mellowed out with a little vanilla. The pumpkin butter will store in the fridge for several weeks, but like I said, if you don’t go through such things quickly, just bottle a little bit for your fridge and freeze the rest in 1/2 cup portions. Then you can pull out small amounts at a time so you don’t waste it. I like pumpkin butter on oatmeal, but would love a few more ideas on ways to use it. 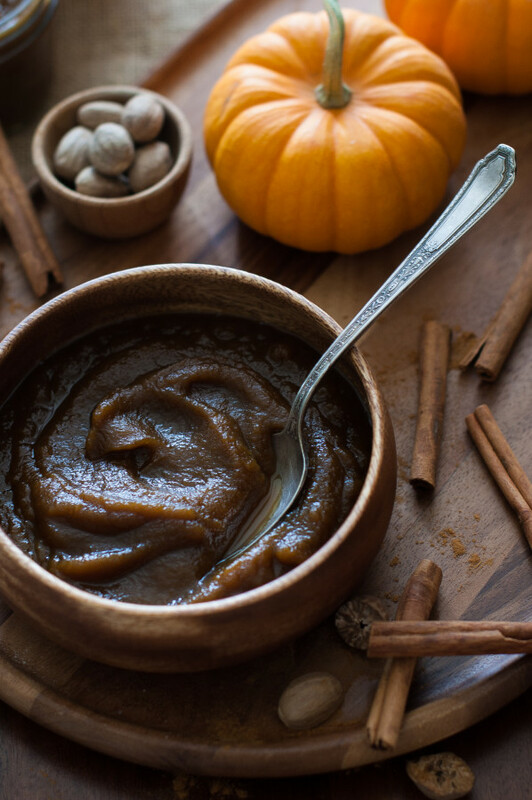 How do you like to use your pumpkin butter? Cut the pumpkin in half, from top to bottom. Scoop out the seeds. Place the pumpkin cut sides down an oiled baking sheet and roast at 400 degrees for 30-40 minutes, or until pumpkin flesh is soft. Remove from the oven and let cool. When the pumpkin is cool, remove the skins with a knife and place the cooked pumpkin flesh in a food processor. Add the apple cider and process until completely smooth. Scoop pumpkin puree into a saucepan. Add the sucanat sugar, maple syrup, cinnamon, nutmeg, and clove to the saucepan and whisk until combined. Bring to a simmer over medium/high heat. Reduce heat to medium and cover with a lid. 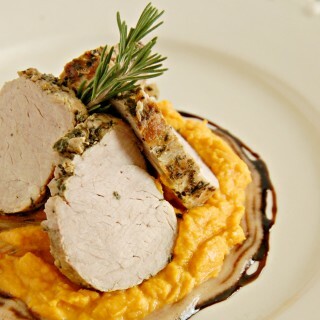 Cook for 10-15 minutes, or until butter has thickened up to a spreadable consistency. Do note that the butter will thicken as it cools, as well. 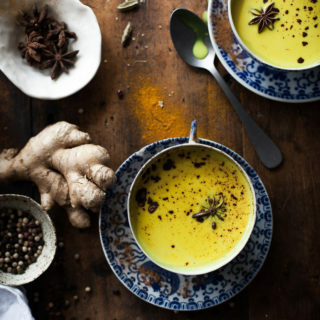 Remove saucepan from heat and stir in the lemon juice, vanilla, and salt. Store in an airtight jar in the fridge for several weeks.